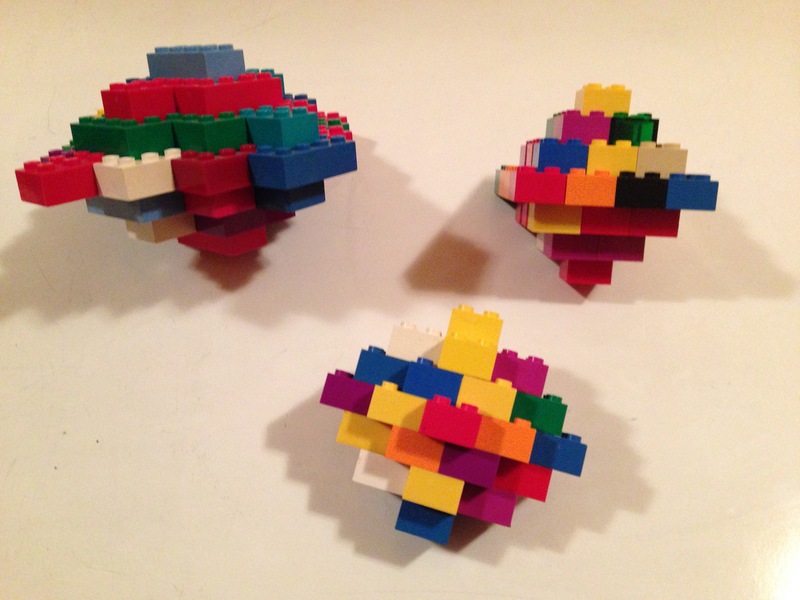 Use building toys to build simple 3D shapes from repeating units. 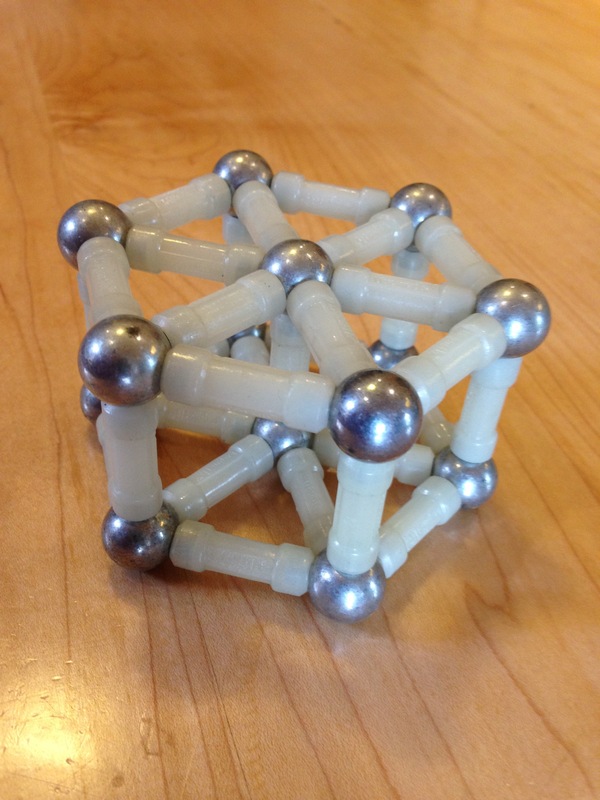 Tell students that as a crystal grows, the atoms add on in a regular way. Depending on the pattern that the organize in, different shaped crystals are made. 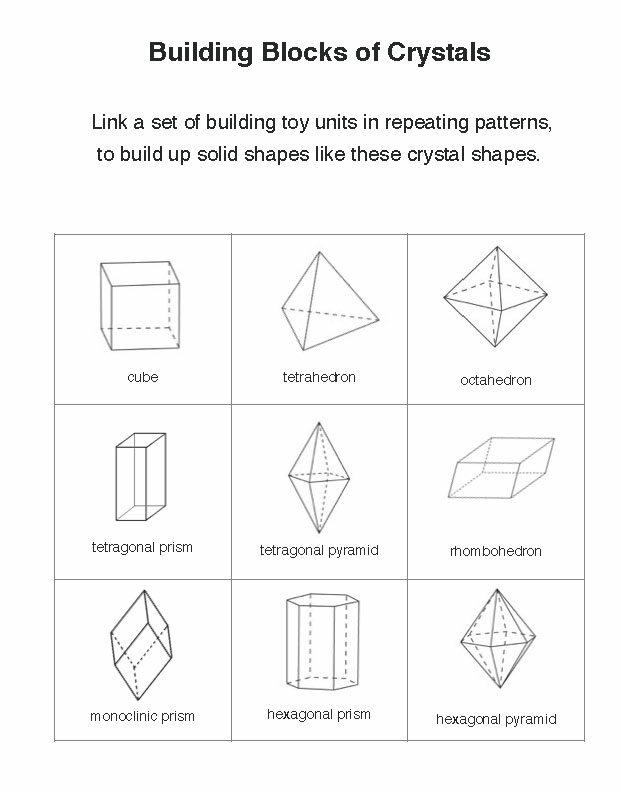 This activity uses building toys to show how a regular arrangement of smaller units can make some common crystal shapes. When you build, make sure that you add the units in the same repeating pattern (show example). 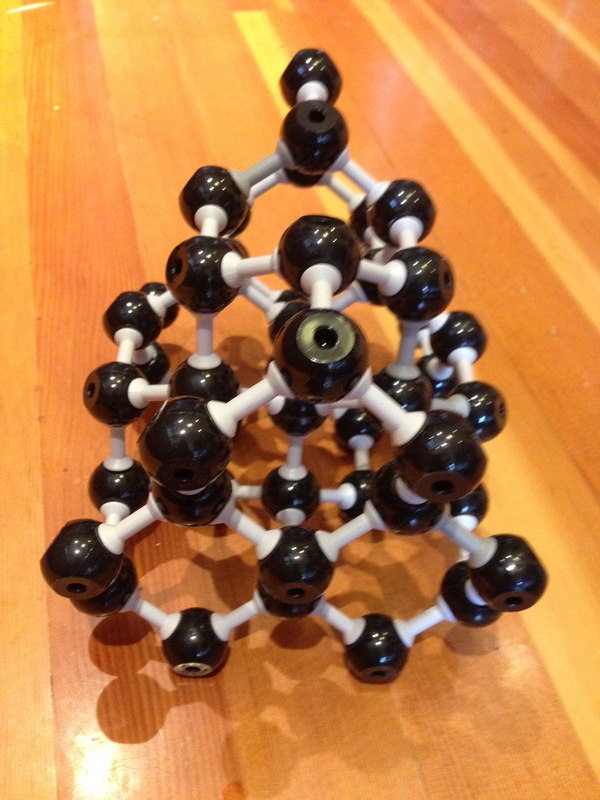 See which crystal shapes you come up with.